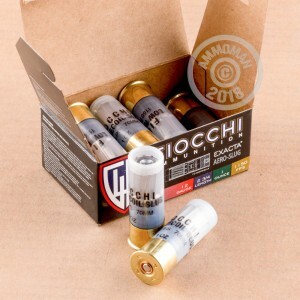 One of the longest standing ammunition manufacturers in Italy, Fiocchi Ammunition, is particularly known for their shotgun ammo. In addition, more than 75% of the ammo they sell in the US, and 100% of the shotgun ammo they sell here, is made in Missouri. In this case of 250 12 Gauge shells, you will find the perfect 1 ounce slug for your needs. This 2-3/4" shell has low recoil, but all the quality of the Exacta Aero brand. 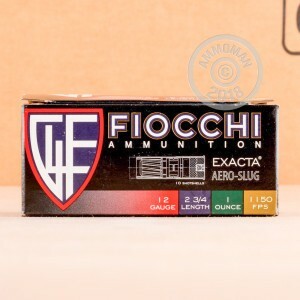 250 rounds of 12 Gauge Fiocchi with free shipping gives you a deal you can't refuse.